Cagnes-sur-Mer on the French Riviera lures great numbers of painters each year with its stunning setting and great climate. Renoir even had a home and studio here, which has now been turned into the Musee Renoir. You'll be able to see for yourself how his artistic style changed with the move to a warmer climate towards the end of his life. The town is located among a number of hills that are decorated in olive groves and orange trees. The town is split into a number of different parts. There is Haute-de-Cagnes, which is the ancient part, Cagnes-Ville where you'll find modern housing and shops and Cros-de-Cagnes where you can stroll along the harbour or sunbath on the beach. The quaint old town is packed with beautiful facades from the 15th and 17th Centuries. Haut-de-Cagnes, where the chateau is located, has been maintained successfully over the years. The local council has been keen to preserve the unique range of shops nearby. The area has become an artist's Mecca with the Festival International de la Peinture which is held once a year and is sponsored by UNESCO. You'll also discover the Chateau-Musee Grimaldi, which is home to even more French masterpieces. It was built by the very first Rainer Grimaldi back in the 1300's. If you go upstairs you'll find the Musee d'Art Moderne, which holds a different style but the same high level of quality. This museum focuses on paintings by artists who have worked up and down the coast. Each time you return the rotating collections ensure you will see a new display. Monaco has always had close ties with the town. The ruling Grimaldi family had been in possession of Cagnes right up until the revolution when they were finally driven out. In 1620, it was Henri Grimaldi who decided to convert the castle from a fortified stronghold into a stately home while saddling up to the French establishment at the same time. If you can tear yourself away from the attractive town long enough, then the surrounding area is packed with unique locations that would make for a fantastic excursion. There are the obvious hotspots such as Nice, Cannes and Monte-Carlo, but make sure you also search out the smaller towns. Ten kilometres to the north, you'll come across St-Paul de Vence, another town that is drenched in artistic heritage. If you appreciate fine art then you'll love the narrow streets with their countless galleries, although you might not be too fond of the swarm of tourists the town attracts. Your nearest airport to Cagnes-sur-Mer is Nice, which is serviced by British Airways from Heathrow, Easyjet from Gatwick, British Midland from the East Midlands, Flybe from Southampton and Jet2 from Leeds-Bradford. If you'd rather go by land then Rail Europe will be able to take you from London all the way to Nice. There is a thriving property market all along the French Riviera and Cagnes is certainly no exception. The local economy is tourist driven and there is a big demand for rental properties. There is a fairly large community of international buyers, who have caused a rise in property prices. Do you know Cagnes Sur Mer better than we do? 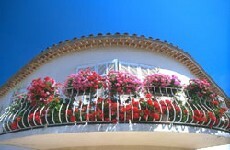 Do you have photos of Cagnes Sur Mer? WHERE IS Cagnes Sur Mer? Cagnes-sur-Mer is located in the east of the Alpes-Maritimes department, 13km from Nice. Access: The nearest airport is Nice, which has a wide range of flights from the UK. Rail Europe runs a service from London to Nice. Economy: Tourism, fishing and art are included in the town's economy. Interesting fact: A branch of the Grimaldi family from Monaco owned the town up until the revolution.